The compact Indoor air humidity meter hydromette BL compact TF2 is a precise thermal hygrometer to determine the Indoor air humidity and room temperature. 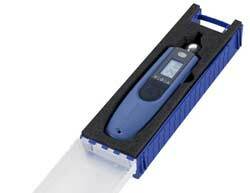 The handy Indoor air humidity meter is customized for one-hand-controlling and convinces with its easy handling. Single and serial measurements can be performed in a matter of seconds. 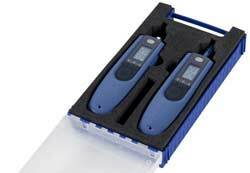 The last 5 measuring values collected are stored in the Indoor air humidity meter hydromette BL compact TF2. For long-term measurements or for process monitoring the humidity meter can be connected to a computer via its USB interface. 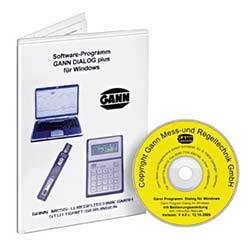 With optional purchasable software whole data sets can be evaluated. The measuring range of the Indoor air humidity meter between 0…100 % air humidity and -20…+80 °C with a resolution of 0.1 % and 0.1 °C and the current measuring value are displayed via a LC display of the Indoor air humidity meter hydromette BL compact TF2. Min-, max- and hold- function facilitate measuring even at spots that are hard to reach. Furthermore the Indoor air humidity meter calculates automatically the dew point temperature and is equipped with an automatic switch-off. 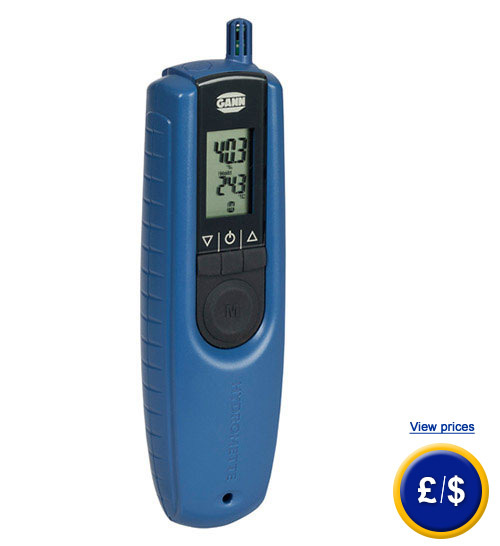 Thus the Indoor air humidity meter hydromette BL compact TF2 is ideal for monitoring living space and operating in areas of air conditioning, in warehouses, museums or print shops. For further information about the Indoor air humidity meter hydromette BL compact TF2, please read the following technical data or call our Hotline: UK customers +44(0) 23 809 870 30 / US customers +1-410-387-7703. You can also reach us through our contact form. Our engineers and technicians will gladly advise you regarding the Indoor air humidity meter hydromette BL compact TF2 or any product in terms of regulation and control, or scales and balances of PCE Instruments.